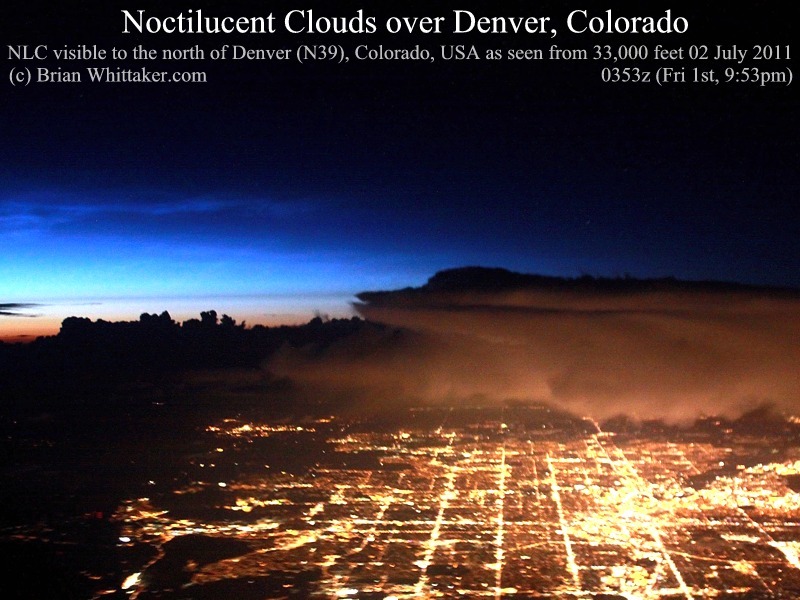 Noctilucent Clouds [NLC] were visible on the northern horizon, looking over the top of Denver, Colorado, USA from 39º degrees North. These clouds are usually only seen from further north and this was a rather southerly glimpse of them. Their normal "season" is between late-May and mid-August each year. This view was from 33,000 feet at 9:53pm locally on Friday 1st 2011. 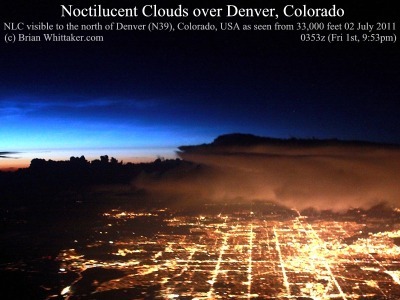 Notice that the tops of all the tall thunderclouds in the distance are black and the sky above is dark, as you will only see NLC in late twilight. Approximate location: N39, W105. Canon EOS 50D. 02 July 2011, 0354z. [800x600].